SCALE [Hario] - Any scale that will read to 1/10th of a gram. 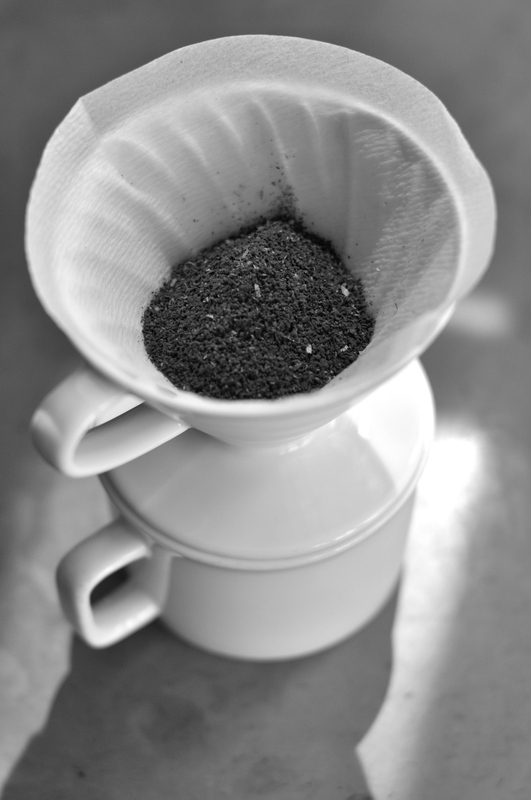 Place drip cone with filter over coffee receptacle ( of at least 12 oz volume ) and rinse/flush with water ( this is to remove paper microfilaments as well as preheat the drip cone and coffee receptacle ). NOTE: You may use however much water you think is necessary to rinse the filter. For reference, we use roughly 200 ml of water to rinse. 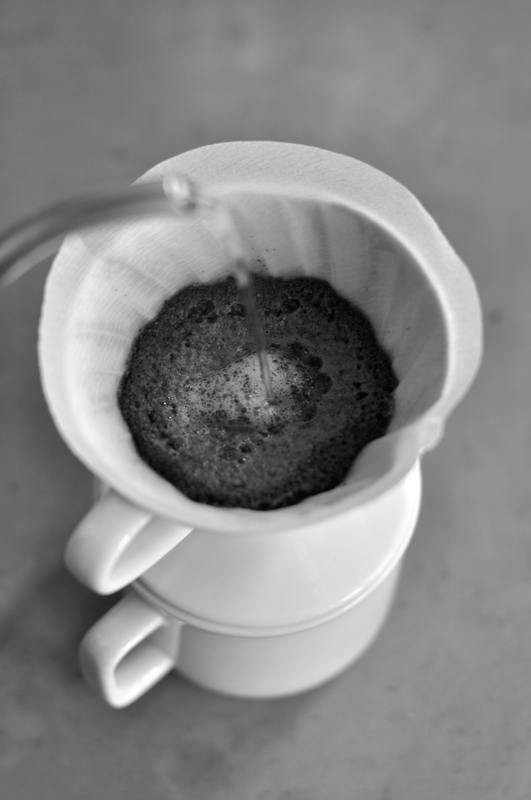 Grind the coffee to a medium fine consistency and pour into drip cone. NOTE: Grind size may vary and we encourage you to experiment with your grinder to find an optimum particle size for the coffee you drink and the way you like to drink it. Initial Pour - Just enough water from the kettle (~80ml - 100ml) to saturate all of the coffee grounds. Let the coffee rest for approx. 30 - 45 seconds or until you believe the coffee is no longer actively/noticeably absorbing water. NOTE: During this stage some people like to agitate the coffee with a spoon in order to achieve a higher extraction/extraction yield. 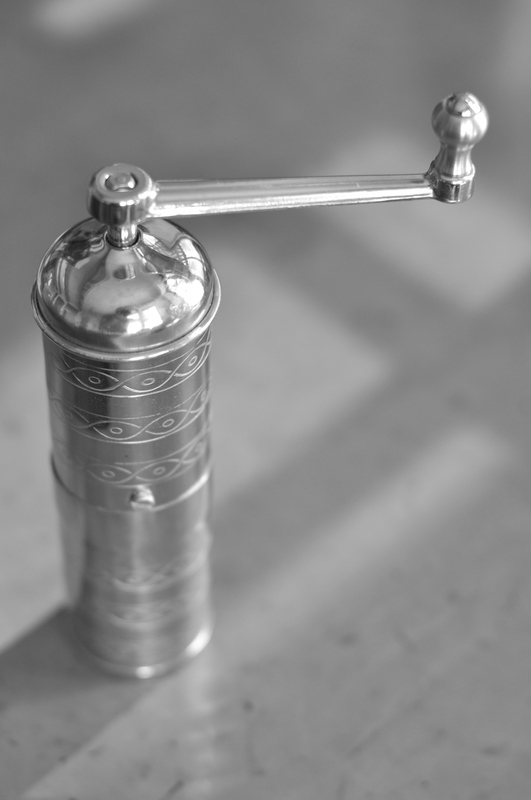 The overall goal is to achieve a proper and consistently even extraction. We recommend experimenting with different techniques in order to achieve this. 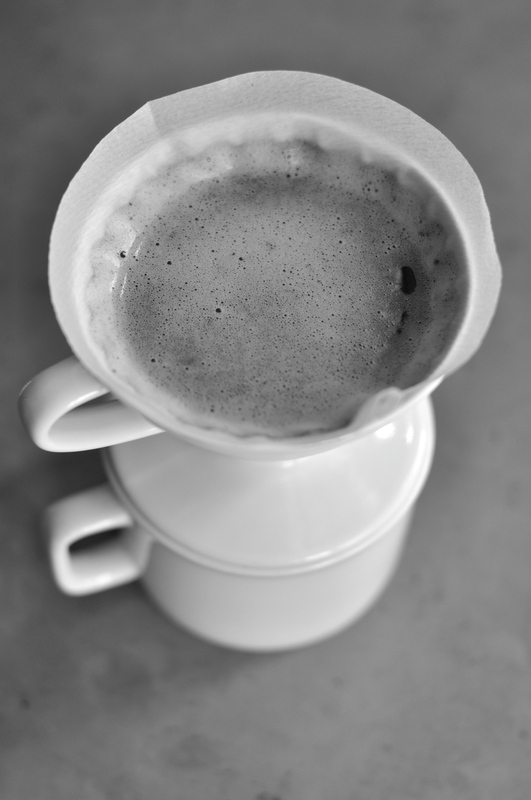 Secondary Pour - Use remaining water and pour slowly to cover grounds so that all of the coffee is evenly extracted. We try to use the remaining water inside of 1:45 to ensure that we don't exceed our target brew time. Wait until all of the water has drained into the cup, remove drip cone and enjoy! NOTE : You may increase / decrease your dose to adjust for personal taste. We observe better cup results with a total brew time (from the time you first start pouring to the time all of the water has drained through the coffee) between 2:45 - 3:15 for this serving size and brew method. If you are over or under the brew time you will need to adjust your grind size, water temp or pouring method accordingly. 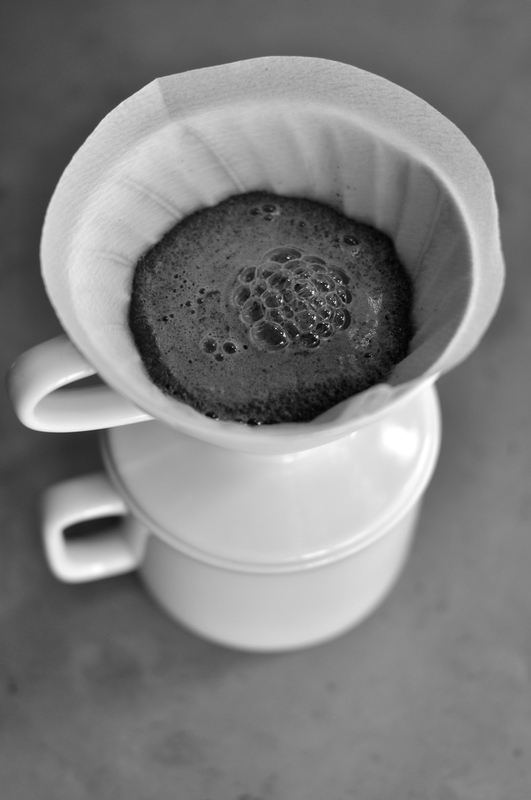 Please understand that these guidelines are just guidelines and are not meant to be taken as hard rules for how you or anyone should brew coffee. We are constantly working to improve our quality which inevitably means that we adjust our brewing parameters from time to time.